Let’s take a little trip down memory lane for just a minute to when you were a kid. Doing 50 worksheets or workbook pages on the same skill was just awful. And the worst time of the day was always after lunch when you were already in the midday slump. I always wanted to jump out the nearest window. 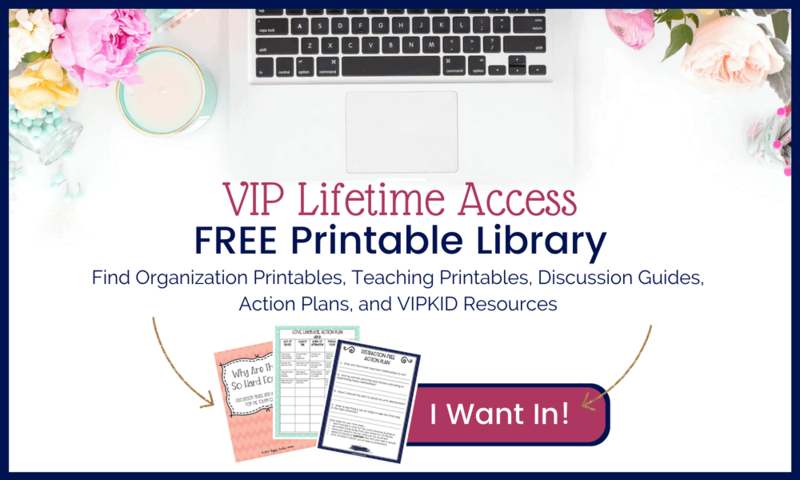 Now, snap back into reality and think about what you are requiring from your kiddos. Makes you feel kinda bad for them doesn’t it? But guess what? You can be the teacher that helps them enjoy even those tedious skills just by adding a little bit of movement in the classroom. And, if you’ll be completely honest, you’d agree with their assertion; memorization isn’t exciting on its own. Unfortunately, to memorize something, you just have to do it over and over and over. 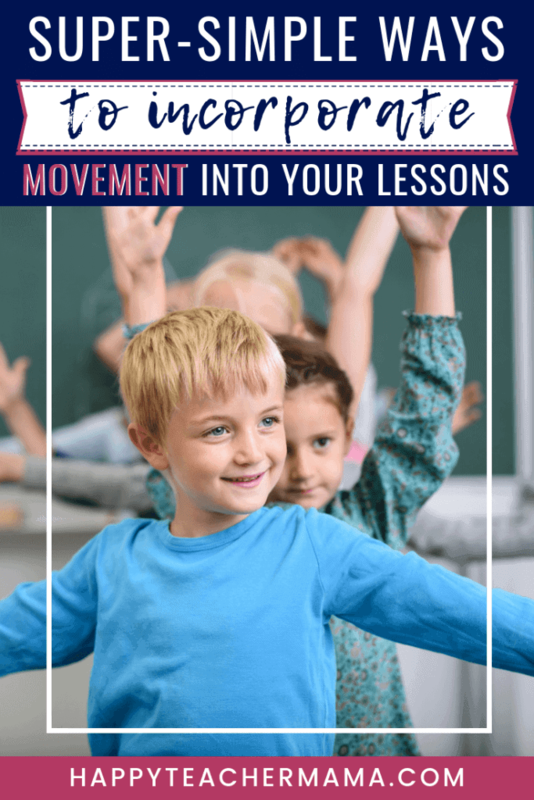 But, I have six fun ways to help you turn those “boring” lessons into something amazing just by adding movement in the classroom. You can add jumping jacks to any activity in the world and it instantly becomes more fun. This is ideal for use with practicing math facts. Here’s how it works. Kiddos start by saying “6 plus” while jumping out. Then they bring their feet back together and say “4 equals.” Finally, they say “10” while jumping out again. You can make it as physically challenging as you want. Continue jumping out and in until they have completed the desired number of facts! With this activity, you simply have your kiddos stand with their feet shoulder width apart and their arms out. Have them take their right hand and touch their left toe. Then stand back up, and repeat this with the left hand touching the right toe. This may seem somewhat silly, but anytime you cross the midline of your body, you’re engaging both sides of the brain. That’s why it’s really important to incorporate these movement activities into your lessons. We played this a lot in my classroom! It was an activity I always had ready if I noticed my students were getting sleepy or being lethargic, in general. I would have my kids sit with their chairs pushed away from their desks. Then I would make a statement. If the statement was true, they stayed seated, but if it was false they stood. My favorite thing about this activity is the versatility of it. I could make any subject into movement breaks in the classroom activity by simply giving two options to my kiddos sit. For example, if we were working on types of sentences, I would say a sentence and have them sit for declarative sentences and stand for interrogative sentences. My absolute favorite way to add movement in the classroom is the SCOOT. My kids asked to do a SCOOT every day! If you’ve never heard this term, a SCOOT is a whole class game where kids rotate between desks and do a task at each desk. It’s a high engagement, fast paced game that students love! You can modify this activity in your homeschool by placing the cards all over the house. Your kiddos simply move from room to room to answer all of the questions. I guarantee this will be a crowd pleaser. This is similar to a SCOOT, but instead of moving from desk to desk, kids move around the room. I’ve done this several ways including pairs, small groups, and independently. There are pros and cons to each, but one isn’t better than another. Just consider what your purpose is with this exercise, and that will dictate your groupings. Flashcards or task cards can be placed on desks, tables, cubbies, shelves, or even on the walls. Since this activity requires kids to write in a variety of locations, I’ve found clipboards to be the perfect mobile writing surface. And, because they LOVE using clipboards, you have a winning activity. Contrary to the name…no one was harmed in the making of this activity. 🙂 This one is so much fun to use when practicing spelling words. The concept is simple…for every letter you say, you punch your fist out. To spell cat, you punch your right fist straight out in front of you and say “c.” Then you punch your left fist out and say “a.” Finally, you punch your right fist out again, and say “t.” It’s as easy as that! As an added bonus, you can punch across your body instead of out front and cross the midline to get both sides of the brain warmed up. I promise, your kids will love it. You can even change the speed at which you spell to add a little bit of difficulty. The next time you are doing some of the “boring” lessons consider adding movement in the classroom. I promise you’ll be happier with the absence of complaining, and your kids will be happier with an opportunity to move during their lessons. Love these ideas! My daughter is a kinesthetic learner so we are always looking for new ways to add movement to our days! I’ve done the “can you balance on this and spell your name, do simple math etc”. It was great when my lad was young.